Kathy Stansfield - Secretary of the Dartmouth & Kingswear Society, Dartmouth Green Partnerships and the Community Bookshop committee. Former town planner and environmental journalist Kathy Stansfield is now found helping in the town’s community bookshop and planting seasonal blooms around the town. 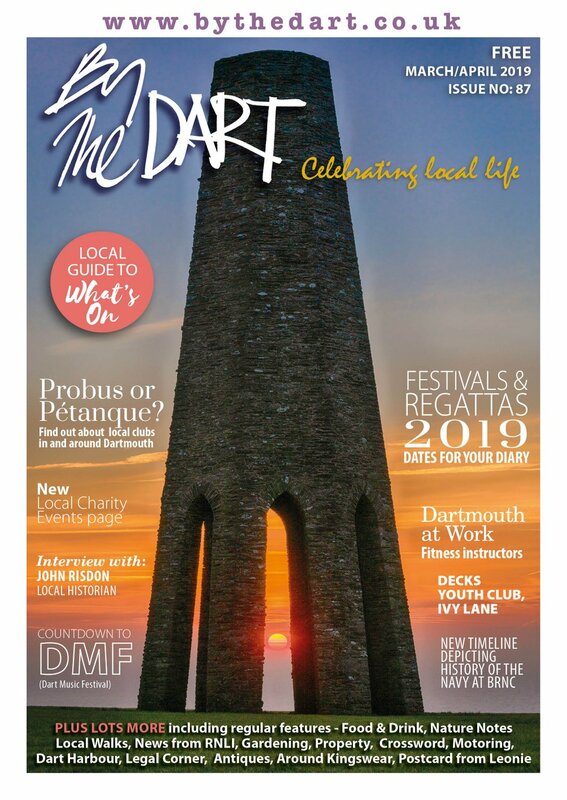 Kathy is secretary of Dartmouth and Kingswear Society, Dartmouth Green Partnerships and the Community Bookshop committee. She said: “It hasn’t all been by intent but just evolved and I’m loving it. I never dreamt of being involved in a community bookshop but I love being part of the Dartmouth community. “A group of us were at the Dartmouth Arms a few years ago, when we heard the Harbour Bookshop was closing. It had been open since the 1950s and was the only bookshop selling new books in town at the time. The owner was approaching retirement, the building was being refurbished and he decided to concentrate on his other shop in St Ives. “We found a way to set up as a community co-operative, under legislation used to save village shops, so we could trade. We became a committee of five. I became the secretary and we opened in December 2011. The group employs Andrea Saunders as manager, who had worked at the Harbour Bookshop for 26 years, assisted by a team of volunteers. Kathy is also secretary of the Dartmouth and Kingswear Society – set up by AA Milne’s famous son Christopher Milne, aka Christopher Robin. Christopher also set up the Harbour Bookshop. It’s in this civic society role that Kathy draws on her extensive professional experience. She said: “Our main function is to look at planning applications - to see if they are appropriate to the town and fit in with the local plan and Conservation Area. With such strong local knowledge we can keep check on things such as windows and design changes along the river frontage. If we have any objections then we send them in to the district council. Kathy’s other role in the town is as secretary with Dartmouth Green Partnerships – previously Dartmouth in Bloom. The group creates and looks after floral displays along the riverfront, boat float and at the top of town and plants more than 100 hanging baskets for Dartmouth every summer. They recently negotiated a new pyramid shaped community greenhouse from South Hams District Council which they plan to create as a centre of excellence and demonstration area on the old depot site. At the moment they use a member’s private nursery to raise and store the planting. The group has entered the Royal Horticultural Society Britain in Bloom competition again this year. “We are in both the local and national competitions this year,” explained Kathy. “We can’t enter the national event every year and the last time we entered, two years ago, we won. Kathy joined Dartmouth Green Partnerships two years ago. Her beautifully planted stepped townhouse garden is testament to her green fingers. Kathy studied town planning and then became an environmental journalist in London. Prior to retirement she was editor of The Structural Engineer and before that edited local government papers and the Property Services Agency magazine, Construction. Born in North Manchester, she moved to Blackpool aged nine and returned to study Town and Country Planning at Manchester University. For her master’s degree she wrote a biography of Thomas Sharp, the town planner responsible for post-war Exeter and other historic towns. Kathy moved to London to pursue her working life, which included editing books about landscape design and writing about the garden festivals of the early 1980s. She said: “As a journalist I got to explore a lot of town and cityscapes and wrote about refurbishment work on government buildings such as top museums and galleries including the Queen’s House in Greenwich. 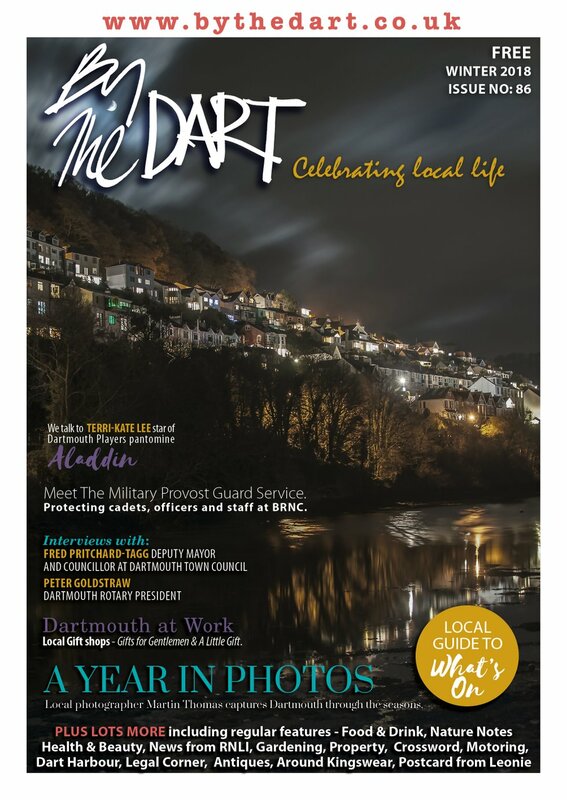 Dartmouth’s townscape was a big pull for Kathy when she moved down in 2010. She’d been regularly renting a friend’s home here for 15 years – from Dartmouth and Kingswear Society’s chair Tony Fyson, an old friend in planning. She said: “I came down here more and more often, then made a mental commitment to come and live here like so many others. “Dartmouth ticked all the boxes. There can’t be many places in the country that have such character as this town. “What’s so attractive to me is the way the river relates to the town and the interesting mix of old and modern buildings. Sometimes I walk down the street and think I could be in Italy. 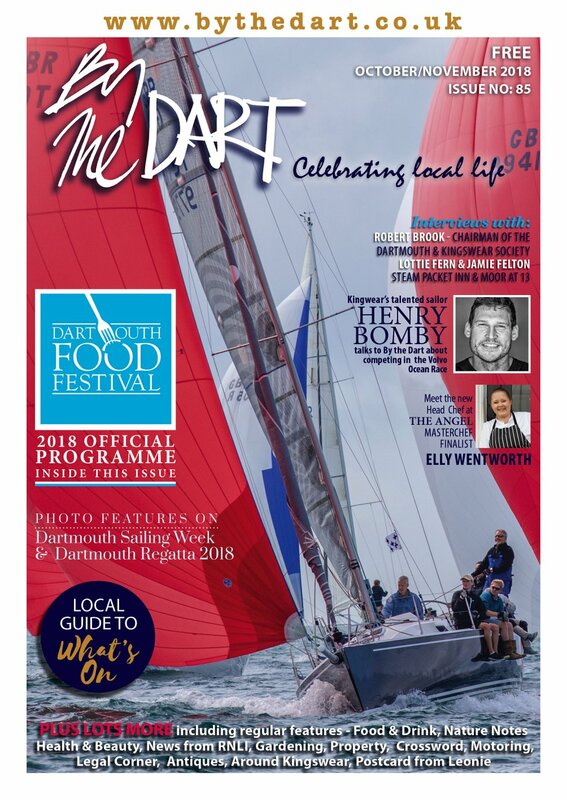 “I’ve travelled in Europe and further afield including Egypt, Nepal, China, Burma, Peru and Bolivia while I was working and have to say the townscape of Dartmouth is pretty special. “I loved being in London, especially the galleries and the theatre and lived happily for more than 30 years in Notting Hill, shopping on the Portobello Road. When Kathy isn’t working hard in the community she enjoys photography and painting, including attending life classes. She also owns a beautiful cat called Seti. In her professional life she took photos of townscapes and buildings for planning reports. She continues to take photographs and sells these in the community bookshop as postcards, where you can find her every Wednesday.